The National Park Service has scheduled a four-hour hike Saturday, June 10, to the legendary Red Ash Island cemetery on the New River and to nearby ghost towns amid the forests of the New River Gorge. 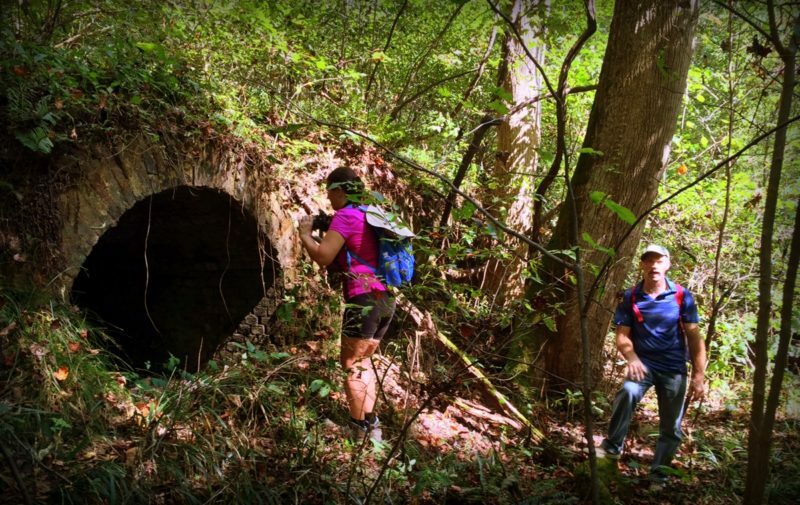 Departing from the trail-head for the Southside Trail at Brooklyn (map) at 1 p.m., the hike will visit the ruins of historic coal-mining towns and require hikers to wear sturdy hiking shoes and pack snacks and water, says ranger Jodi French-Burr. The six-hour adventure returns to the Brooklyn trail-head at 5 p.m. and will require hikers to trek along an easy grade, though the crossing to Red Ash Island may be moderately difficult, French-Burr said. The island has long been an object of fascination, and historians and journalists regularly revisit the tale of its significance as a burial ground for tuberculosis victims in the late 1800s and early 1900s. The ghost towns of Red Ash and nearby Rush Run were infamous as the sites of two deadly mine explosions, victims of which were also interred in the cemetery, French-Burr said. “As some of the earlier mining communities in the New River Gorge, these two towns saw the boom of the once-flourishing coal industry in the gorge. People built their lives in these places, despite tragic events like two major mine explosions and contagious disease,” she said. Miles hiked during this program can count toward New River Gorge 100-Mile Challenge, she said. Parking at the Southside trailhead is limited, and hikers should consider car-pooling to the site.